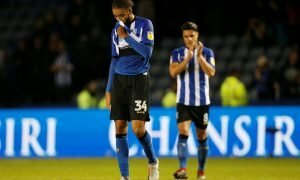 Sheffield Wednesday flop could end Owls nightmare amid reported summer interest | The Transfer Tavern | Where football transfer rumours fly or die! 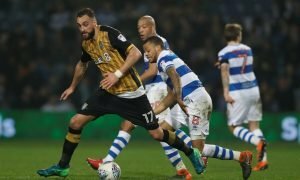 Sheffield Wednesday fans in the Transfer Tavern will be looking for their side to improve on last season’s disappointing campaign, and could be set to see one of their players leave Hillsborough this summer. The Owls hired Jos Luhukay to replace Carlos Carvalhal last winter, and he helped to keep them in the Championship following an abysmal start to the season. Luhukay will be looking at making a number of additions this summer, yet it is believed he may need to raise finances for such additions to be made, with reports suggesting that they could be prepared to cash in on one of their strikers. And that’s because, according to The Daily Mirror, the Owls could decide to offload Jordan Rhodes this summer amid reported interest from fellow second tier outfit Norwich City. The 28-year-old has struggled to make an impact during his time at Hillsborough following his £10 million move from Middlesbrough, yet could be set to end his Owls nightmare this summer as Daniel Farke’s Norwich eye up reinforcements of their own. Should he be allowed to leave, with the Yorkshire outfit wanting to reduce their wage bill, it is not expected that they will entertain any offers much lower than they paid last summer. Landlord’s Verdict: Rhodes has been disappointing for Sheffield Wednesday, and the fans in the Tavern will be frustrated that the 28-year-old flop has been unable to replicate the form that he produced for Huddersfield Town and Blackburn Rovers. Having failed to make the impact, the locals are unlikely to be overly unhappy if he does leave the side this summer. Sheffield Wednesday fans… what do you make of the news? Let us know!